Looking west down Madison Avenue. 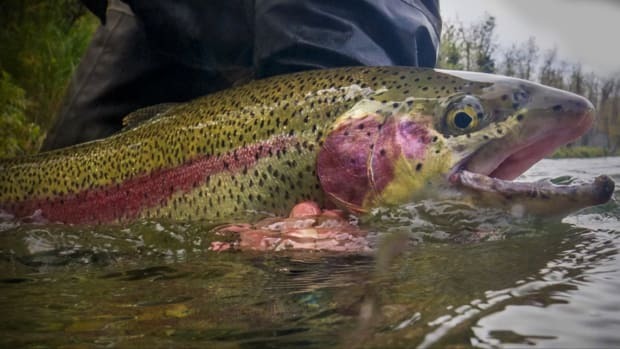 It’s clear from the moment I arrive that there aren’t enough dead bugs on my windshield or dirt on my car to be perceived as a serious fly angler here. I’ve always been fastidious about my equipment, including my rig, but I have to admit I’m a little jealous of the beater next to me that’s covered in various dead hatches with the words “Fish or die” scratched into the caked mud on the window. 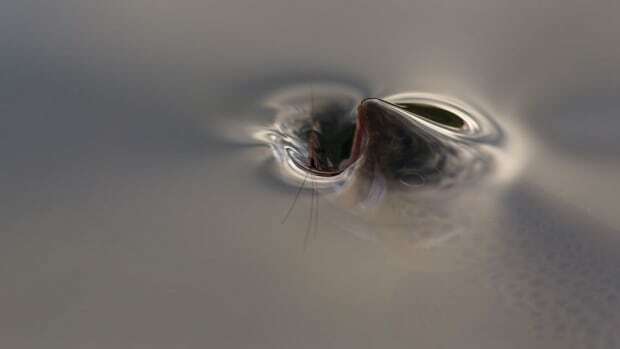 That’s West Yellowstone, Montana: a fish-or-die kind of town. Did I say town? More accurately, it’s an outpost. You stay here because you have to. 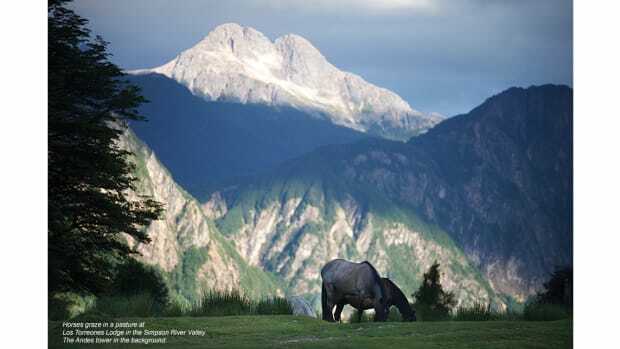 You stay here because there are miles of outstanding, free-flowing, blue-ribbon world-class fly water surrounding this place. 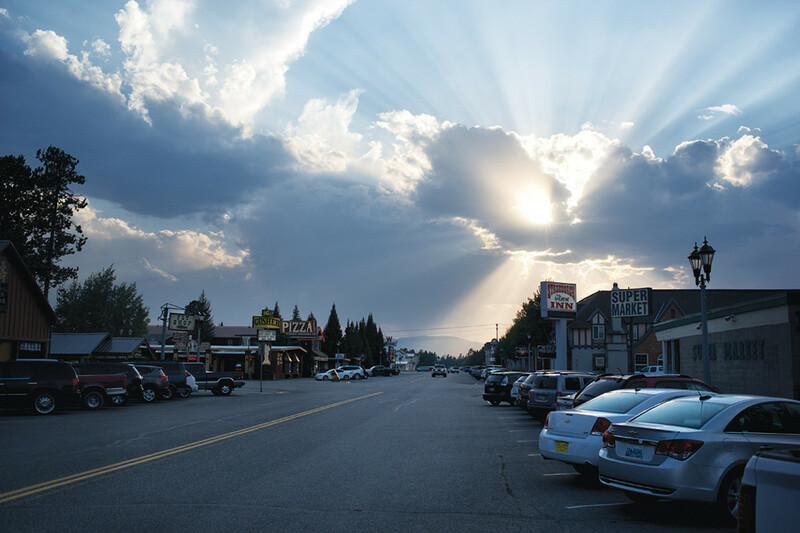 You stay here because West Yellowstone has nothing left to prove. The digs are reminiscent of interior Alaska: dense, durable and unadorned, running wild with dogs. 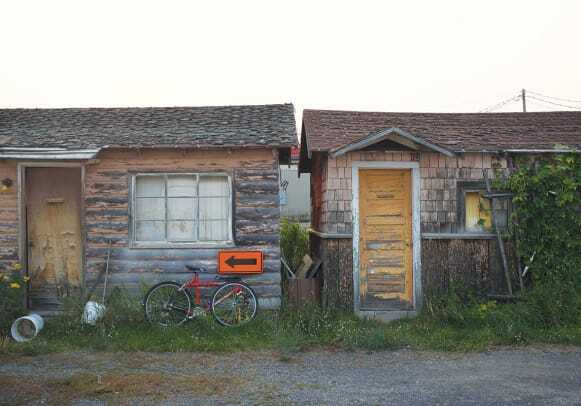 And the tourist cabins, though quaint, are scattered throughout the town and stacked into lots as if afterthoughts, hiding behind shops and restaurants like quarters for minimum wage staff or that crazy relative you don’t want meeting your guests but need to invite to the party all the same. 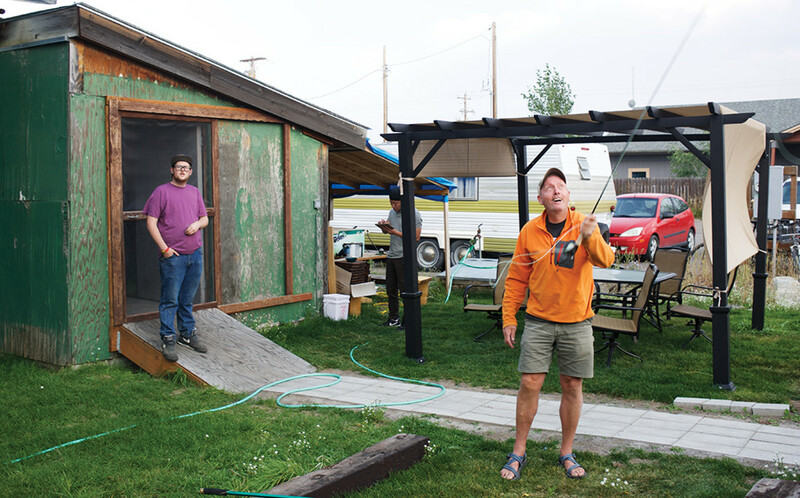 Behind West Yellowstone Fly Shop, a customer gets the feel for a new rod. Hadley&apos;s Motel and Jacklin’s Fly Shop and espresso. There are kitschy souvenir shops on every corner, and the grocery store is filled not so much with fresh food and produce, but with supplies, such as gallons of water, rope and ramen. The chip aisle is crowded, packed with product, and it has a one-way entrance, so customers have to peruse at the pace of the person at the front of the line. It was madness waiting to reach the Paul Newman pretzels. Craig Matthews (left) and guide Doug Pope at Blue Ribbon Fly Shop. 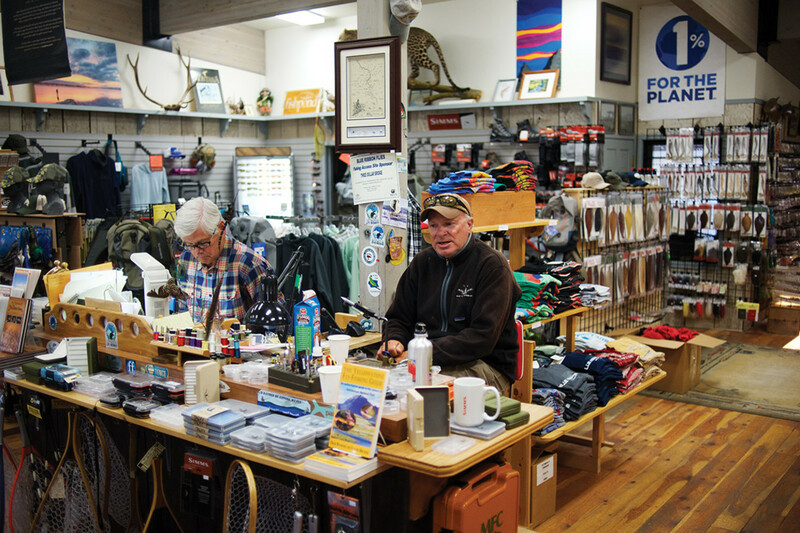 Because the fishing is so good, the fly shops in West Yellowstone are arguably the best in the world. They have to be. There’s Blue Ribbon Flies, the legendary Bud Lilly’s, which has been here 65 years, Arrick’s and a dozen more. And if they don’t have what you’re looking for, you probably don’t need it. 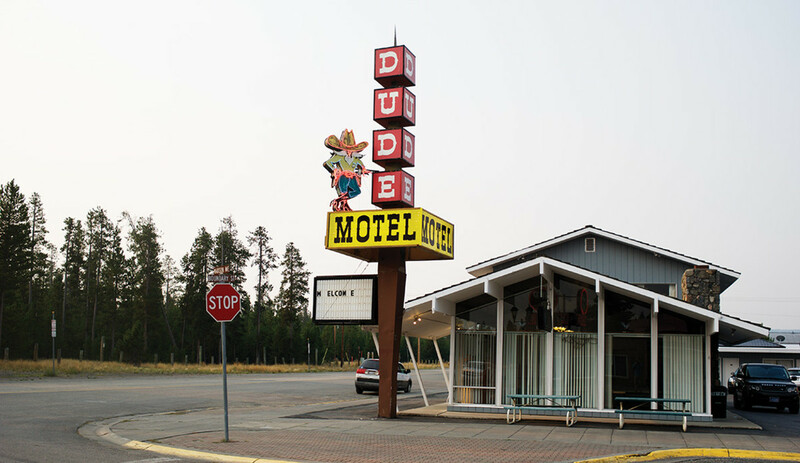 The guides working in these shops have had to scratch out a living in West Yellowstone, and they’re not ashamed to look like it — scruffy, unshaven, with a faraway look in their eyes that comes from staring at moving water too long. 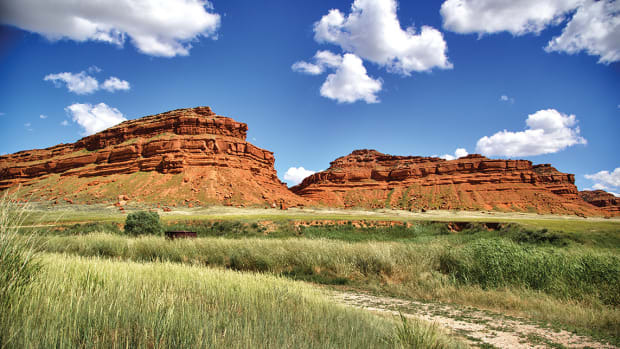 They’ve come here from all over, drawn to these prolific waters that pump the heart into the American West. And they’ve earned their chops selling the tourists T-shirts and sunglasses just so they could fish every waking moment they weren’t working, sometimes not eating or sleeping for days until they’re finally ordained as guides. 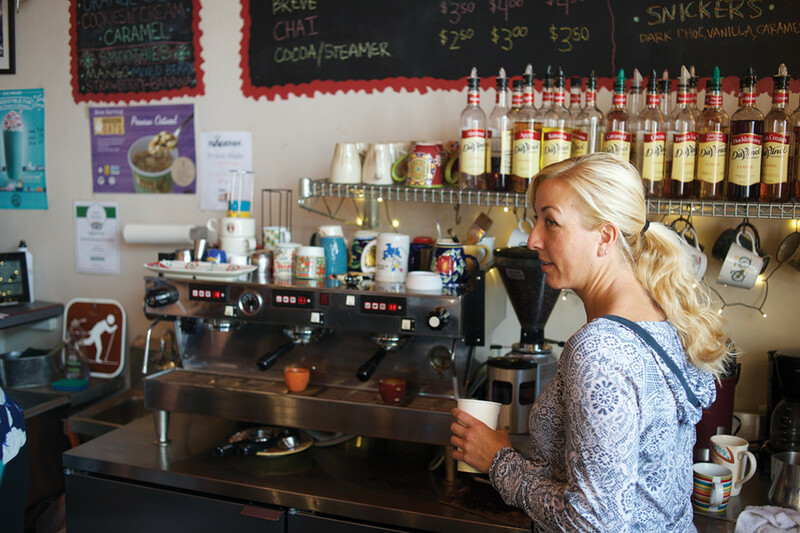 Rachel makes a cappuccino at Freeheel and Wheel. 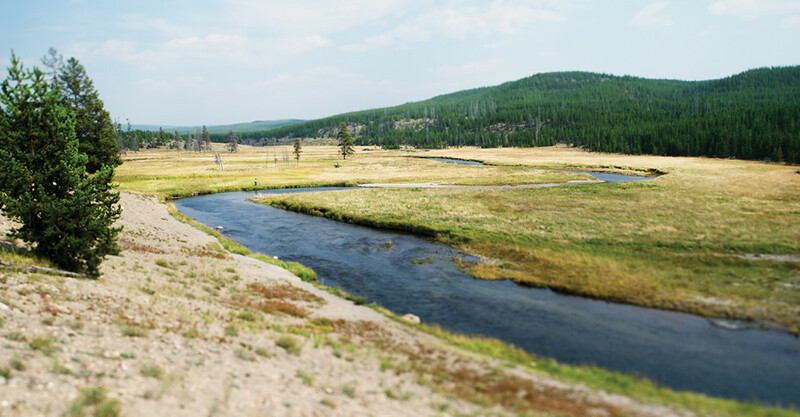 The Gibbon meanders toward the Firehole, where the two rivers join and become the Madison. 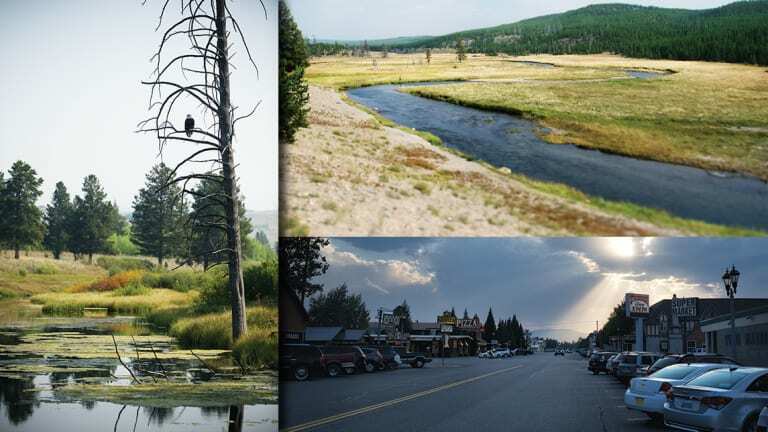 On my last night in West Yellowstone I ventured off the main drag for a deeper look into this boondock settlement of cowboy trout bums and obsessed guides. There was a family eating dinner at a picnic table in front of their rented cabin. 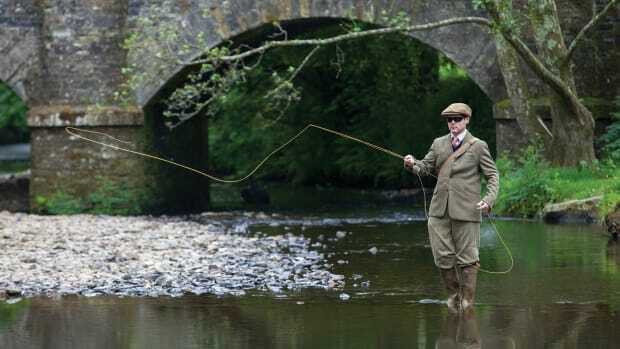 There was a group of old guys practicing their fly-casting behind a fly shop, teasing each other about the lack of distance they were getting. There was a young couple — both with a papoosed baby on their backs — holding hands as they headed into the new tapas joint. 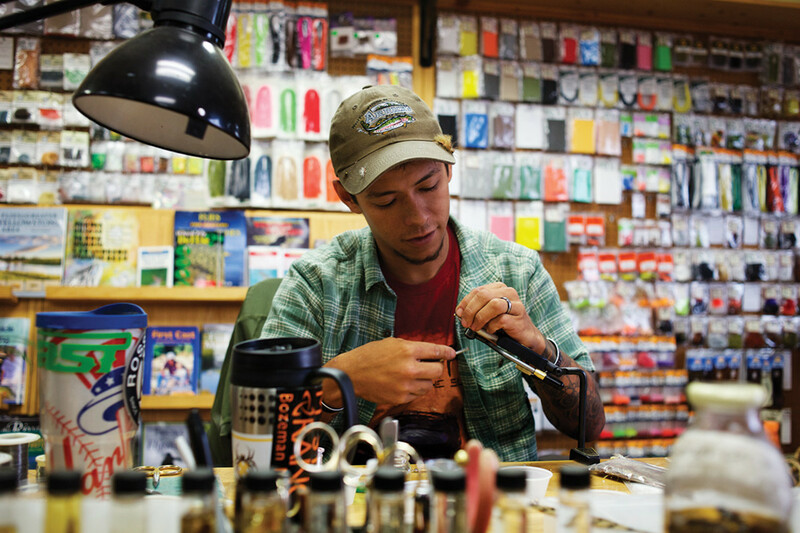 Miles Marquez cranks out a few patterns in Arrick’s Fly Shop. Just as I was beginning to think the place is civilized, a crusty Chevy pickup towing a drift boat took a corner on the street in front of me way too fast. The boat slipped off the trailer and skidded off into the middle of the street, leaving shards of fiberglass across the gravel. The driver and his buddy got out and viewed the damage, each shaking their head. “Damn, that’s gonna leave a mark,” the driver said. His buddy smiled, lifted the cooler out of the back of the truck, placed it into the dry-docked boat, sat down on the seat and popped a cold beer. “I’ll wait here,” he said. Odds are he and that boat are still sitting there. 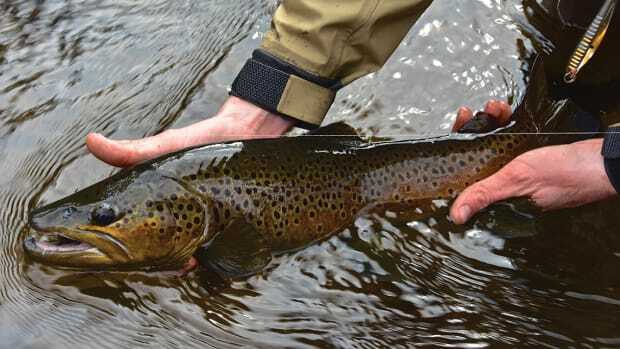 For good reason, Alaska remains the dream of anglers from around the world. 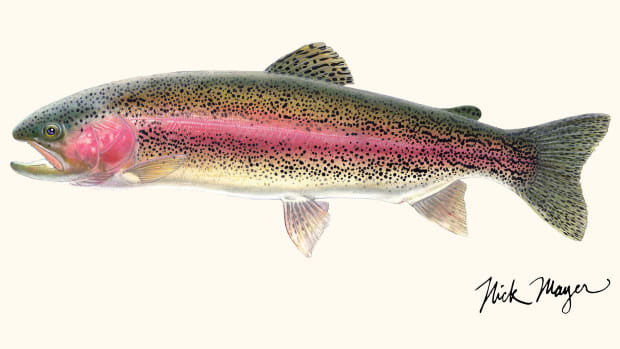 Our wives told us: If you catch a king, kill it, and we’ll turn it into ceviche tonight. 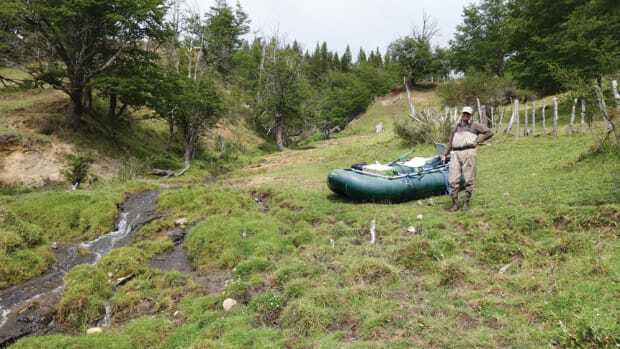 They said: We’ve got all the fixings at the house, then went downstream to fish for trout. Two beautiful women, late in the long Chilean afternoon, about to work up ample appetites.